Some school board members, who felt betrayed by the preliminary budget vote the night before, skipped the meeting. 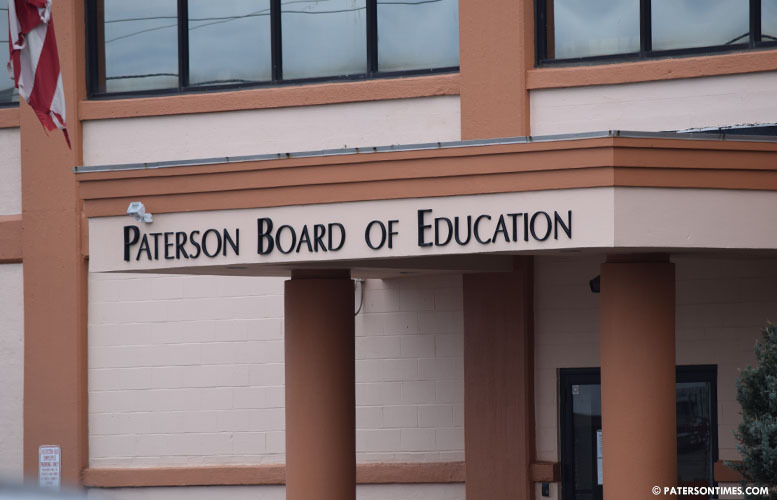 School board members had informally agreed amongst themselves to uniformly vote to approve the budget on Tuesday night after a closed-door meeting, according to sources. School board president Oshin Castillo and two members, Joel Ramirez and Manny Martinez, voted against the preliminary budget. Some school board members began walking out of the meeting before it was adjourned on Tuesday night. Before the vote, school board members said they were in a bind. If the budget is voted down it would invite fresh state intervention. During the budget vote, Hodges said he is supporting the budget with “great reluctance” because it did not have enough funds to provide students a “thorough and efficient” education. “It’s my responsibility as a board member to make sure we pass this budget. Personally, I would have voted no,” said board vice president Nakima Redmon during the vote on Tuesday. “I don’t want to do this, but I feel obligated,” said board member Robinson Rondon. The preliminary budget passed in a 6-3 vote. Ramirez cited cuts, including defunding of the newcomers’ program for Spanish-speaking students at Eastside High School, to oppose the budget. On Wednesday, board members Hodges, Emanuel Capers, Redmon, Kenneth Simmons, and Joel Ramirez were not present to start the regular meeting. Ramirez couldn’t attend because his brother was in the hospital, he said. Others skipped the meeting over the budget vote the night before, according to sources. Hodges said he could not physically attend the meeting on time. He had been in a wheel chair two months earlier. The board meeting was delayed for an hour until Ramirez arrived. Hodges arrived towards the end of the meeting. “We have a duty to show up. That’s our responsibility,” said Castillo. She said that applies even when there’s disagreements among board members. Part of the fight is around the high school newcomers’ program for Spanish-speaking students at Eastside High School. The school board was divided, almost along racial lines, when it voted to delay the newcomers’ program, saving $2.3 million, to close a $22 million budget gap. School officials later reduced the cost for the new high school to approximately $887,000 — $387,000 from federal grant funds. Olivares, who spoke in favor of delaying the program, citing a need to cut spending, faced intense criticism on social media and on Spanish radio programs. Olivares said some have been mischaracterizing his vote as one against Hispanic students. “Somebody’s asking people on the board to pass that program at any cost,” he said. He pointed to remarks made by mayor Andre Sayegh, who, on Tuesday night, urged the board to reconsider delaying the newcomers’ high school. On Wednesday night, Olivares wanted to pass a measure that said Latino students in the district were being underserved. He claimed the proposed Spanish newcomers program had an ostensibly smaller budget than the Arabic and Bengali programs. Olivares’ measure received criticism from his colleague. “You voted to gut the newcomers’ program and then you want to introduce a resolution saying Hispanic kids are not getting equity? I mean come on, why are you talking out of both sides of your mouth,” said Ramirez. “I don’t see a contradiction,” said Olivares. Ramirez said Olivares did not speak to other Hispanic members of the board prior to presenting the measure. Simmons said if funds were available the district would roll out the new program. He said it makes little sense to implement new programs at a time more than 100 teachers are being terminated. “This is not about black and brown, but green,” Simmons. I agree with Mr. Simmons. If the schools doesn't have enough funds to properly serve ALL our students. Paterson has a very diverse population, so no one group should receive special funding. We must seek different representation for our children, there is no way these members should be conducting themselves like this, one member said it’s childish, this is embarrassing. What is the level of education of these members, this beyond crazy. This is democracy. Fights. Bickering. It is easy, defund the charters, but since the board is corrupt and on the take they dont have the chutzpah that Ms Shafer has. Clifton refused to fund them and did the state take them over? NO! Bunch of spineless cowardly maggots!